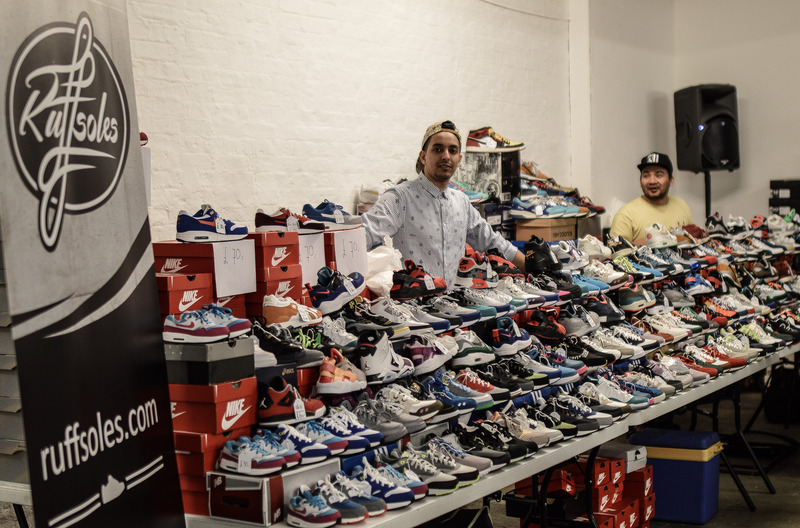 It felt like only yesterday I was at Crepe City 11 in the largest room at the infamous Old Truman Brewery, just off Shoreditch’s well known treasure, Brick Lane. 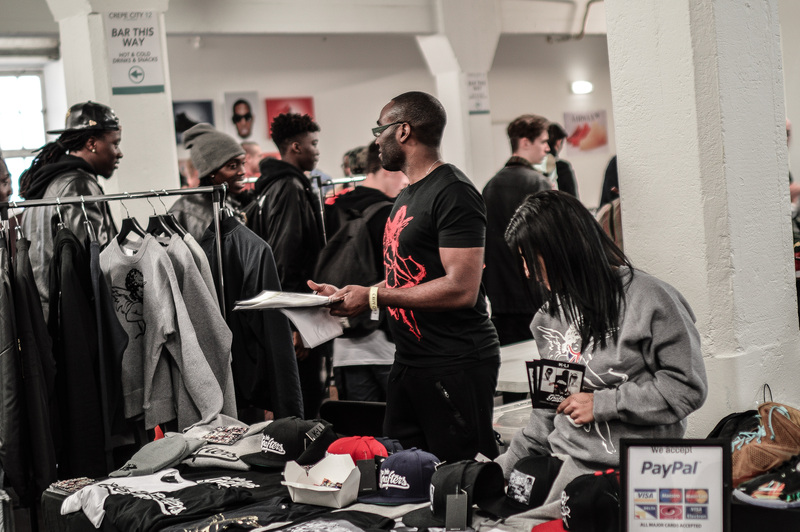 However, it was in fact three months on from the last event, and for the 5th event in a row, it was held at the same venue, but with a different set of rooms. 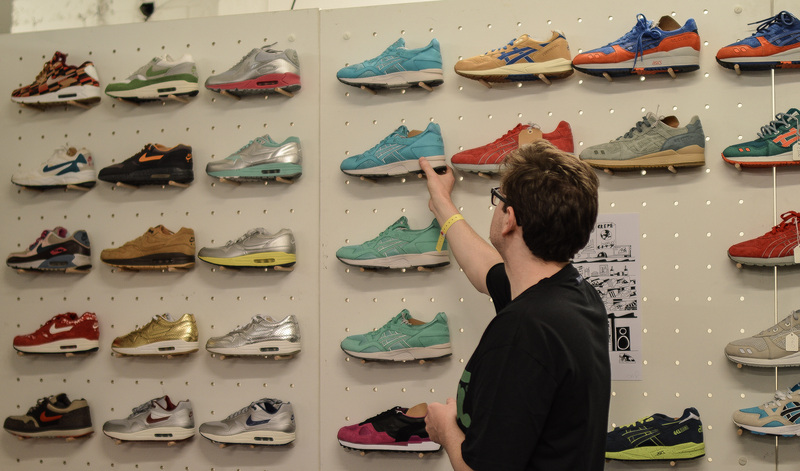 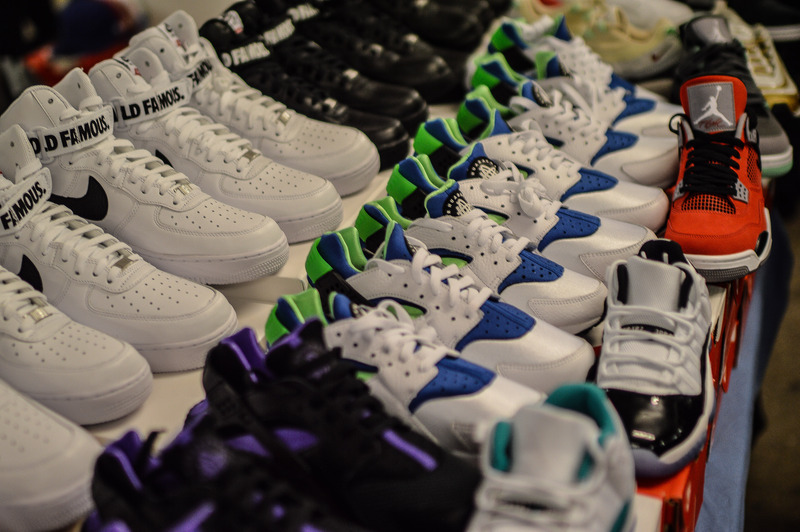 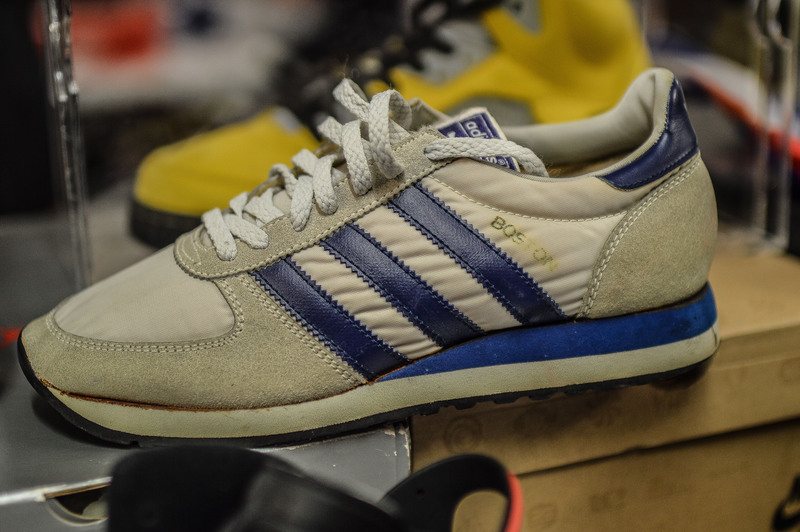 ‘Bigger and better’ is a term used often when we talk about Crepe City – Europe’s largest trainer event – but there’s definitely a lot of truth in the saying, with thousands of people flocking down to buy/sell/trade or merely just check out the thousands of pairs of trainers on show. 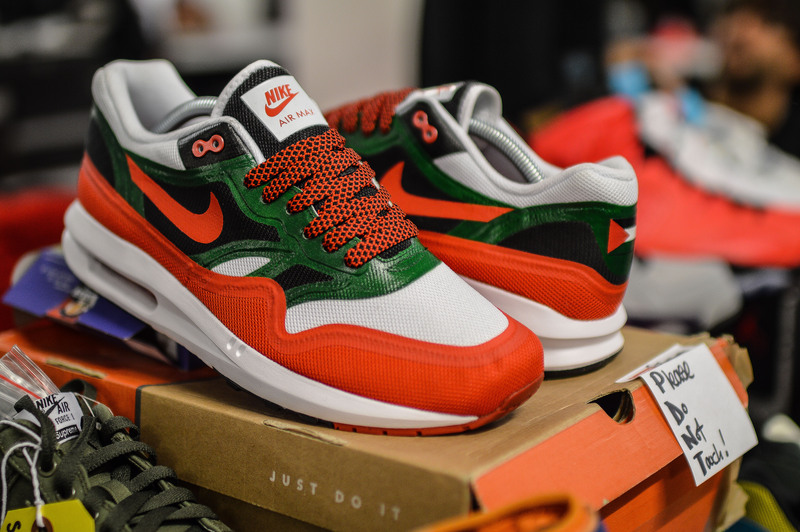 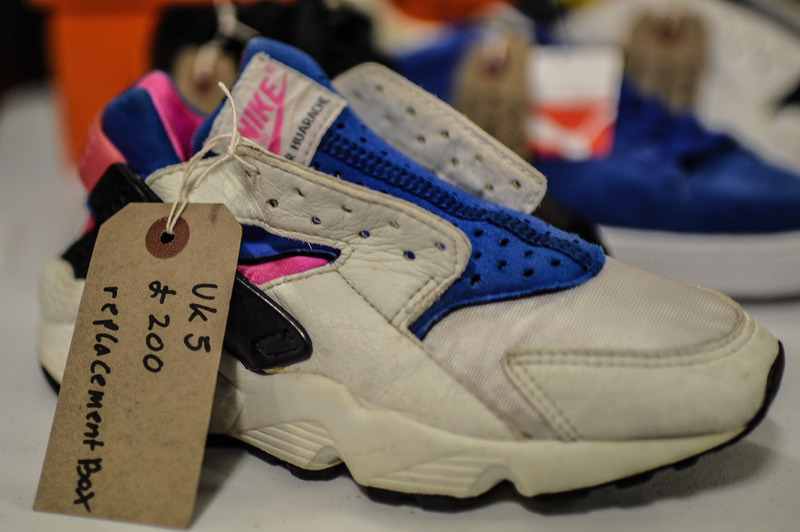 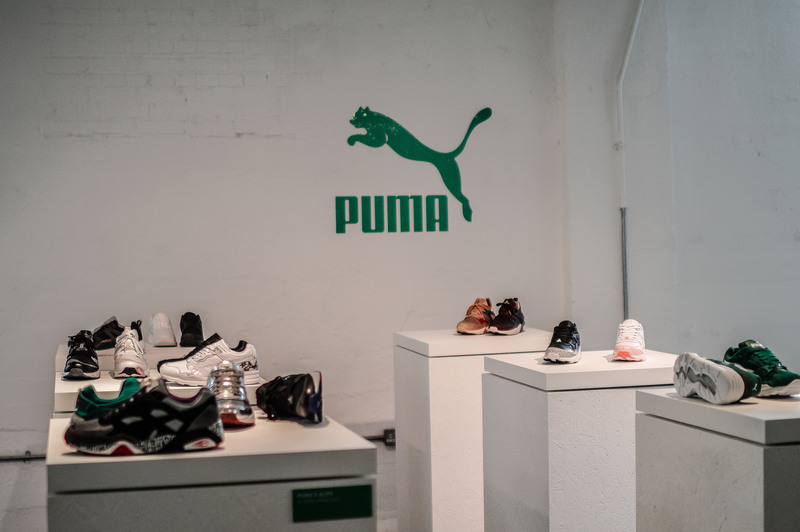 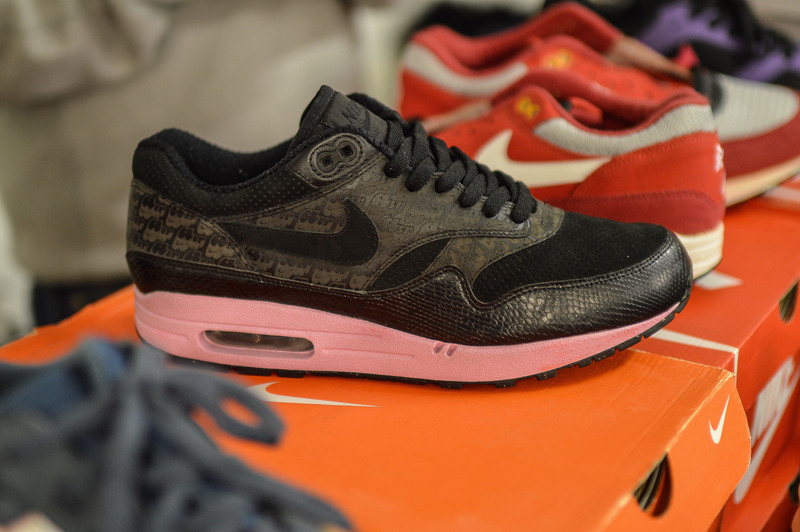 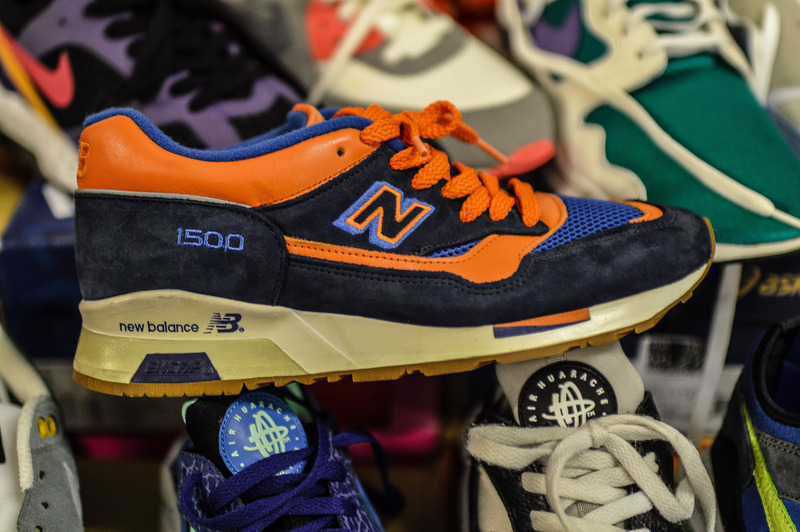 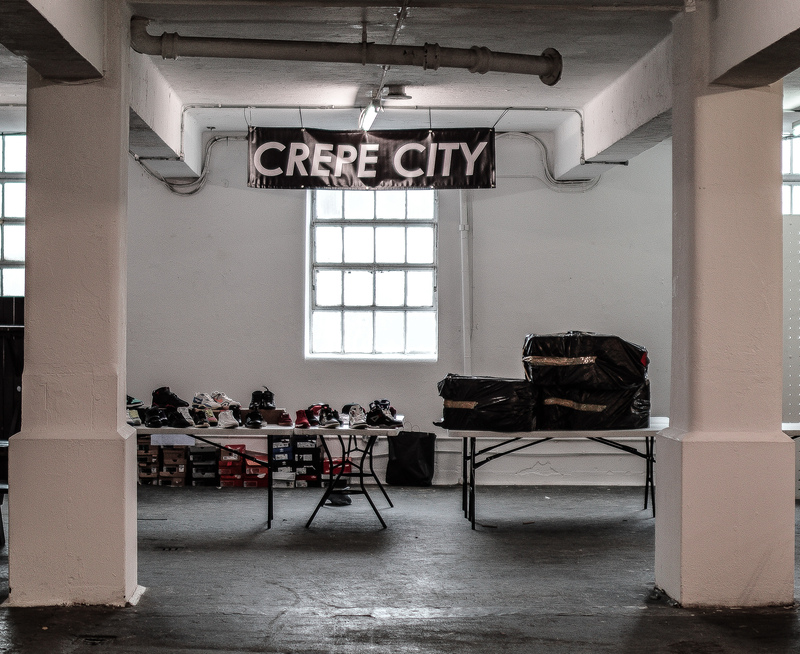 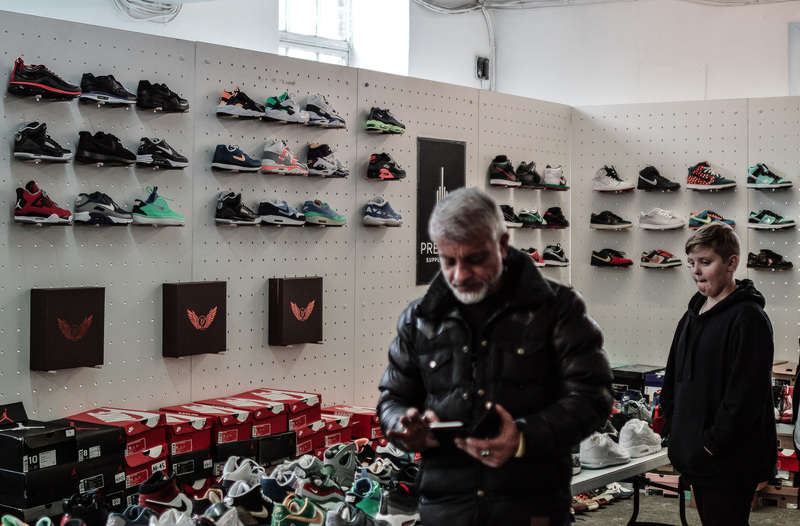 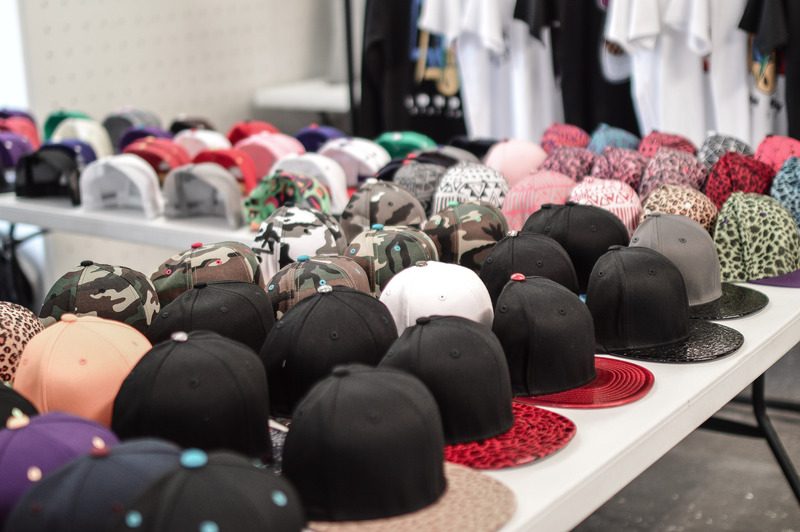 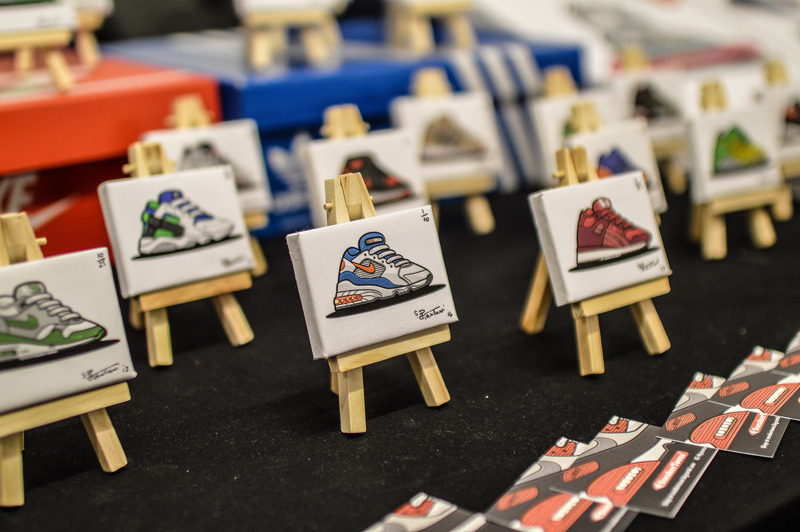 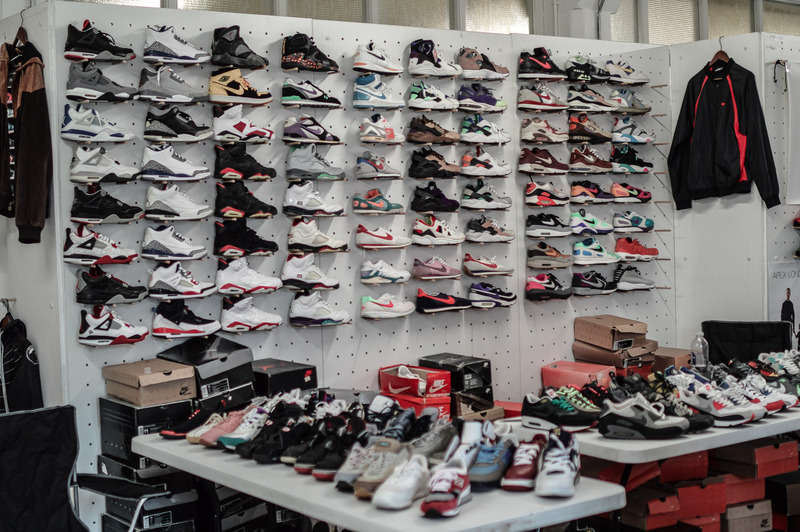 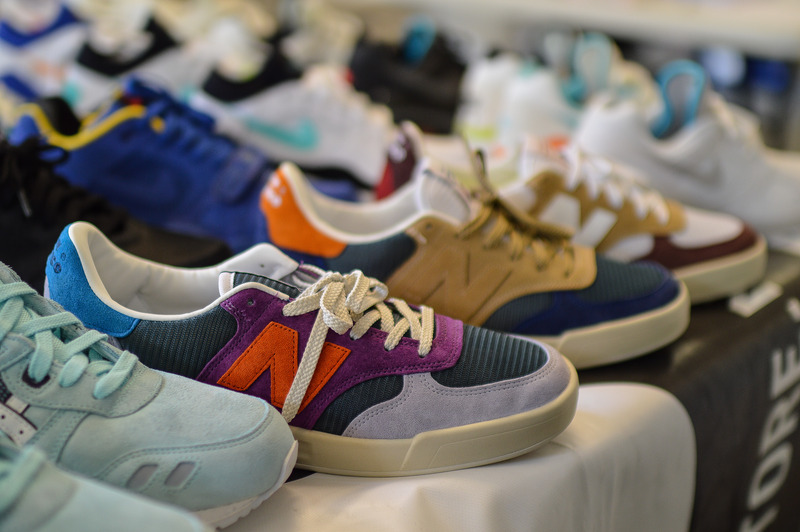 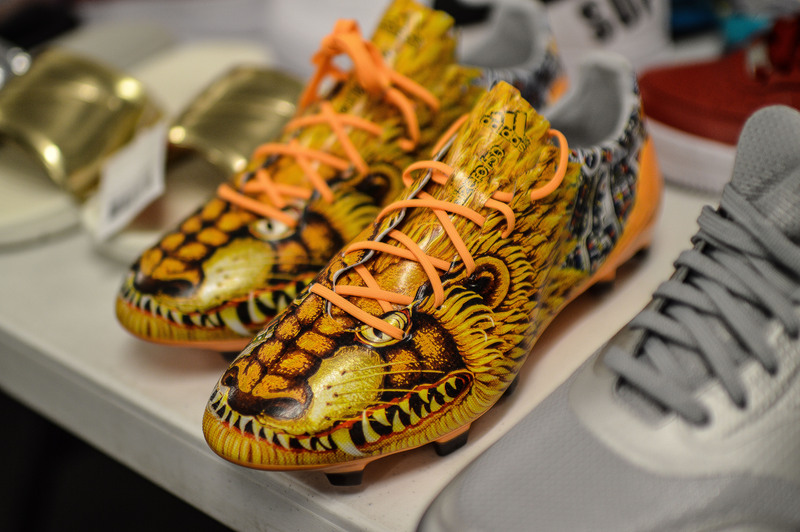 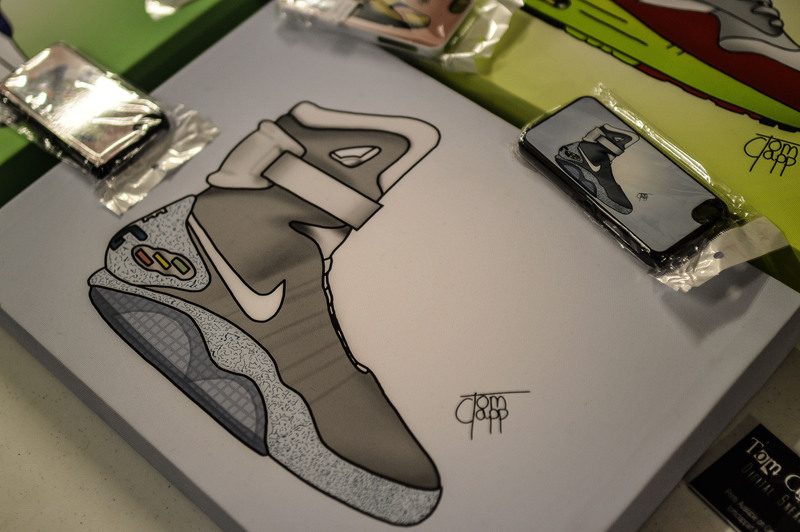 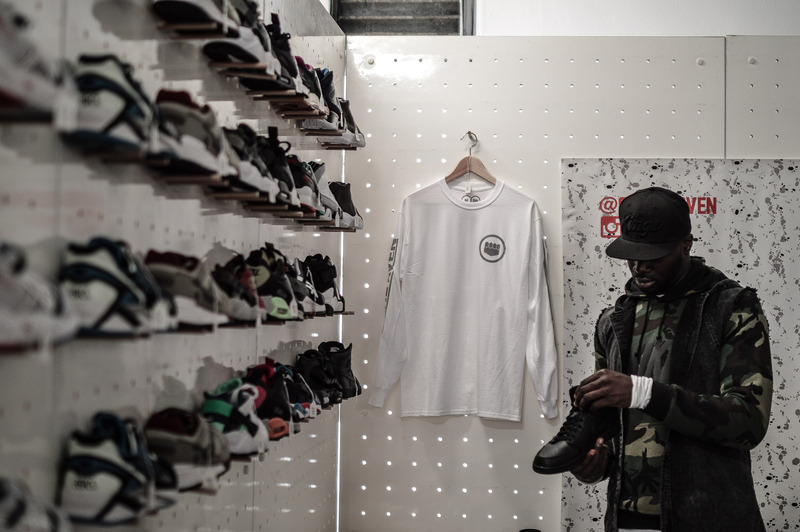 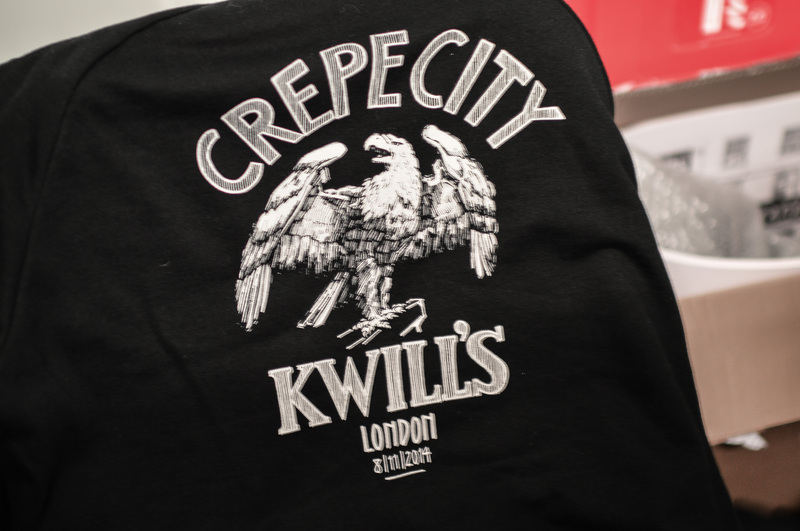 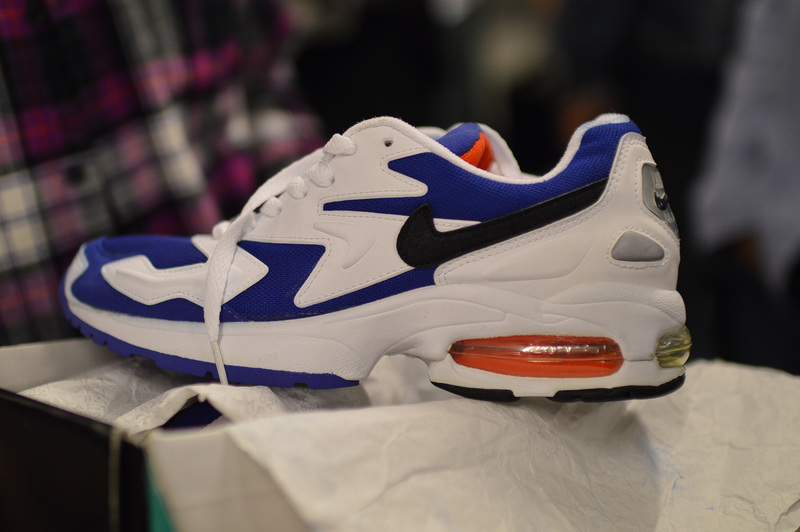 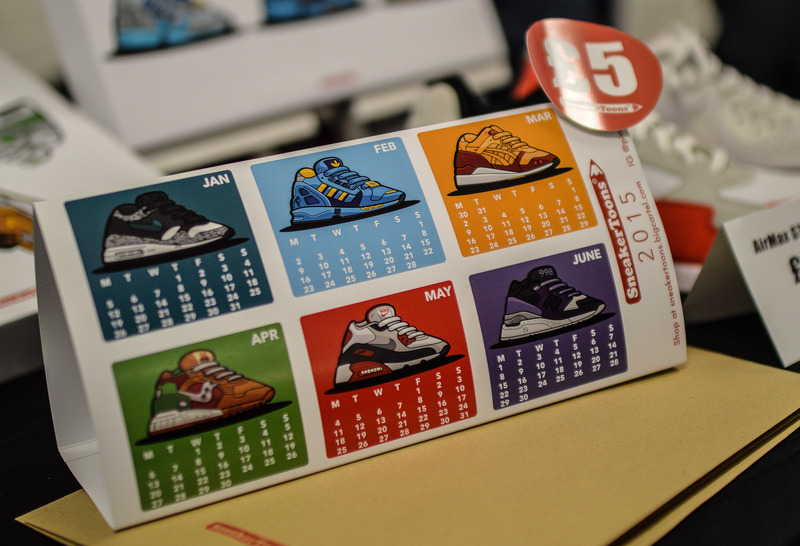 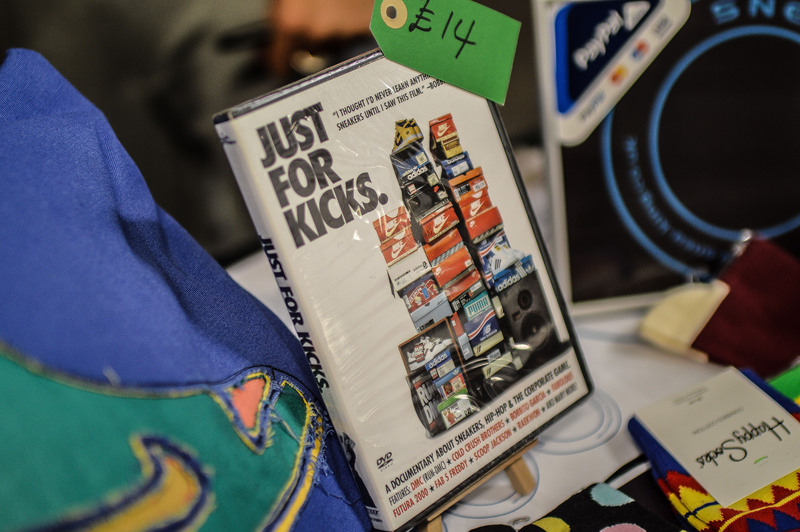 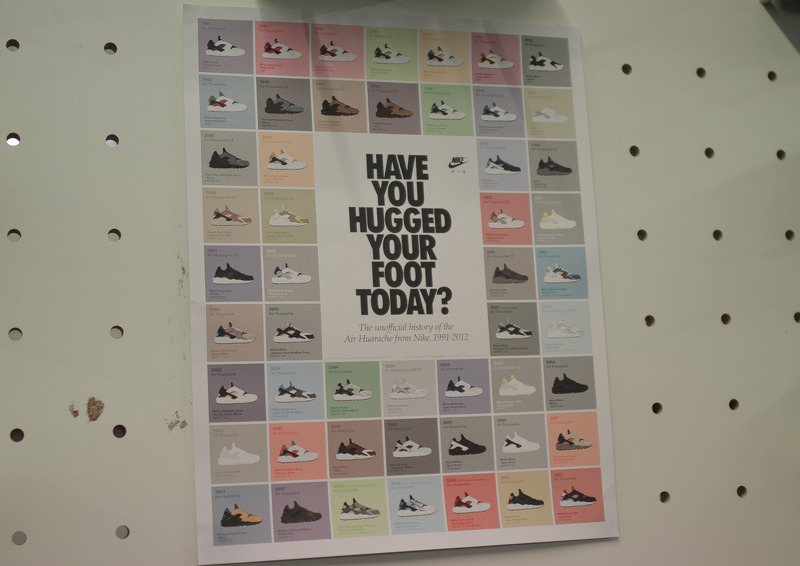 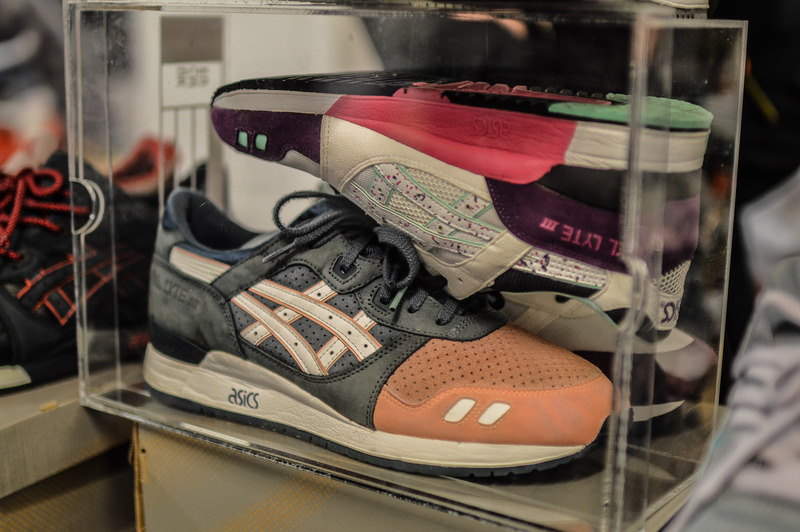 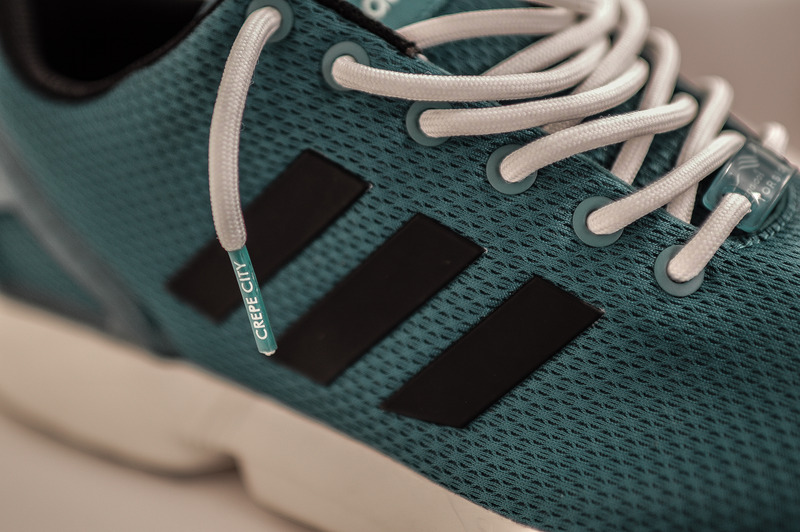 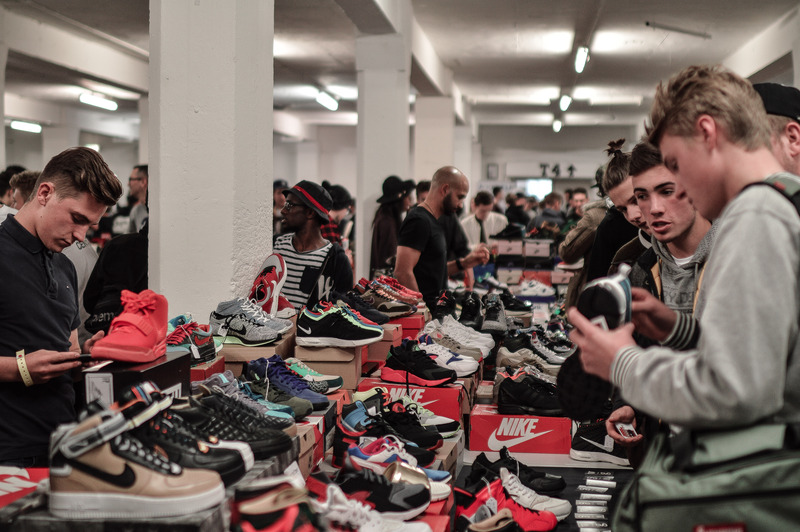 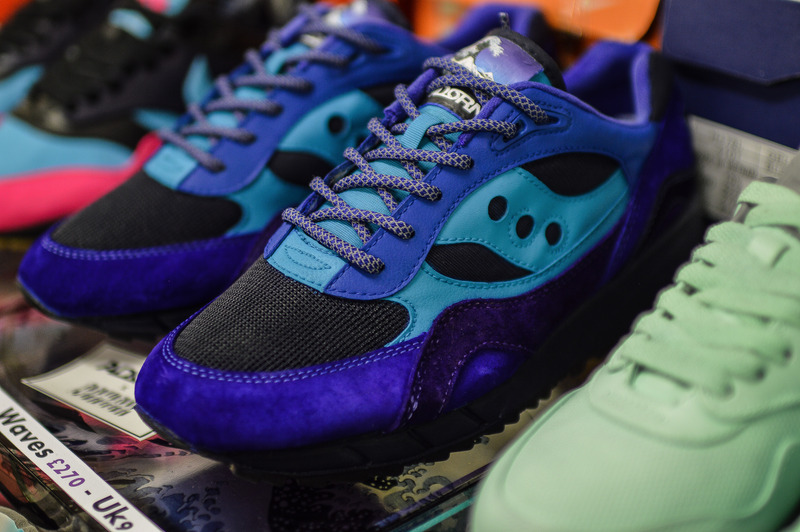 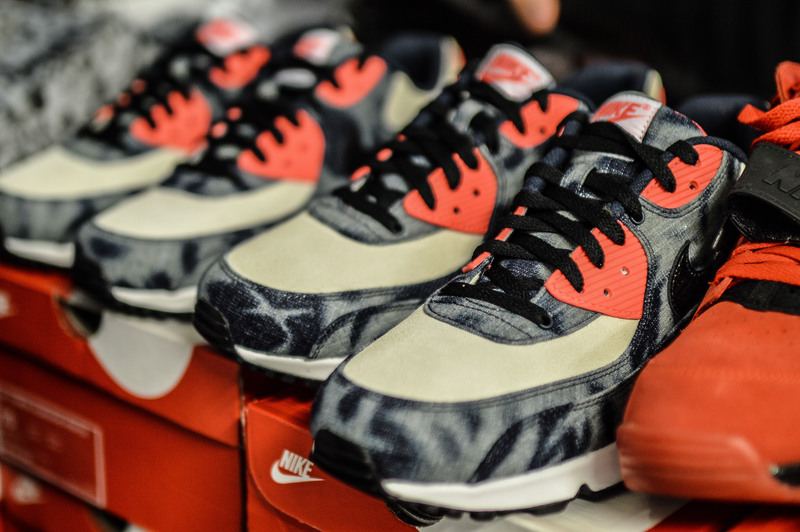 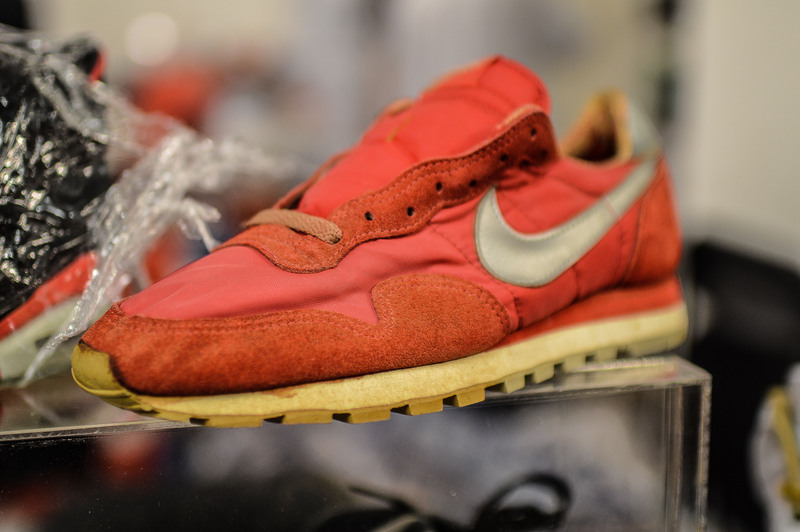 As has been the case now with so many of the Crepe City events, there was not only trainers on show, but various rooms at Truman Brewery were awash with accessories, streetcar, vintage clothing, customisers, artists, and much much more. 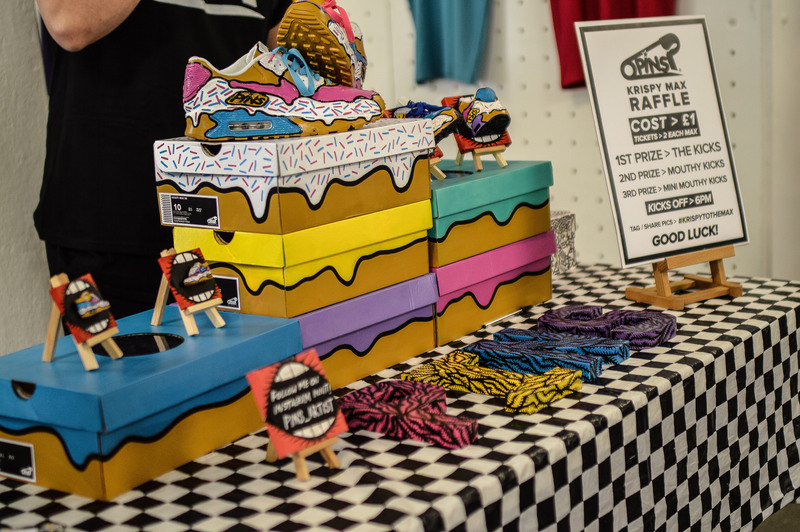 Most importantly, the food and drink selection was the best yet, and a particular drink which tasted like apple pie went down an absolute treat! 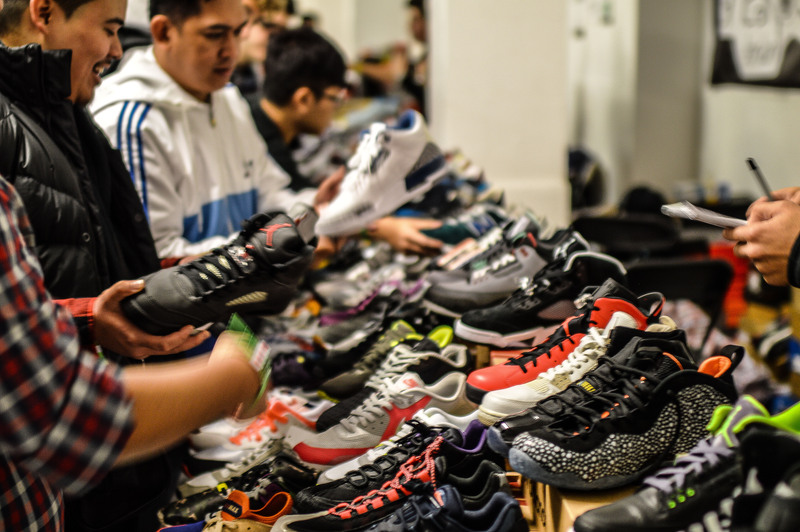 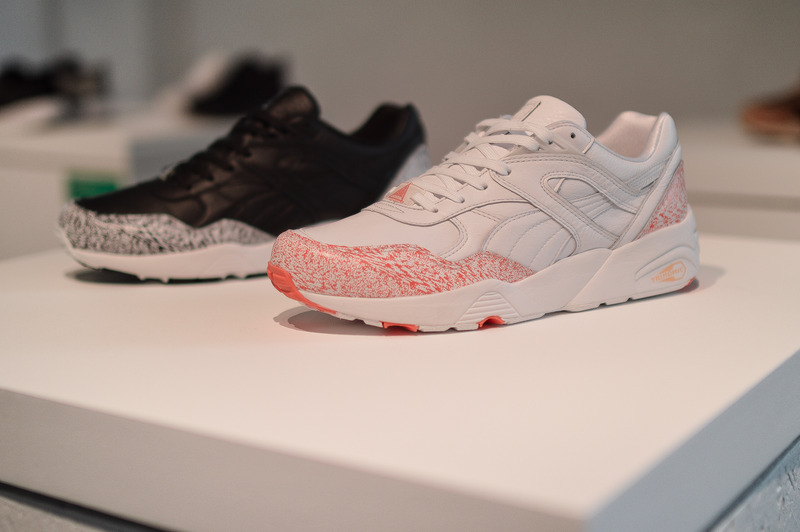 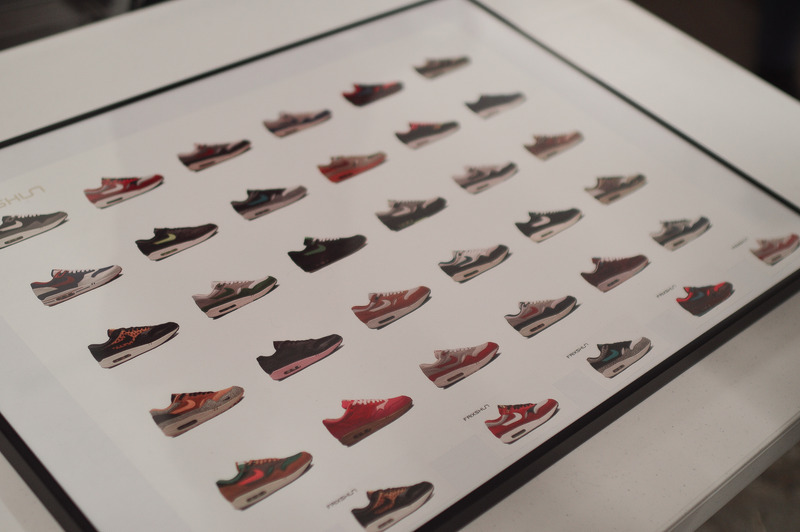 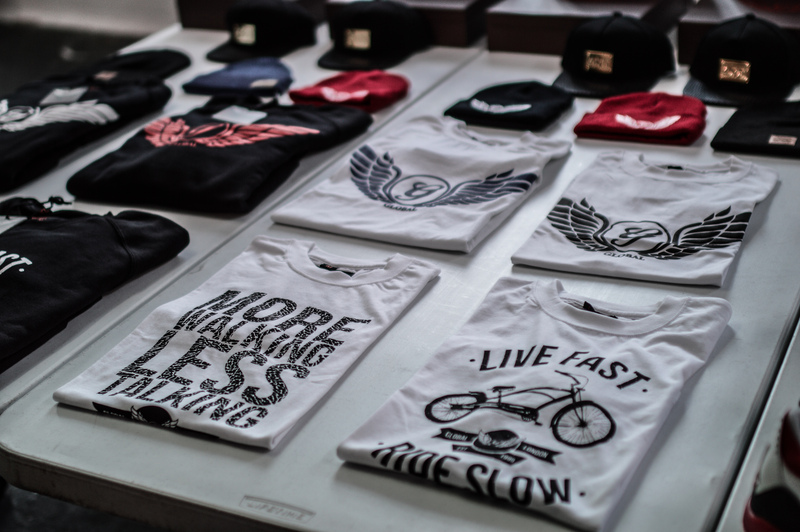 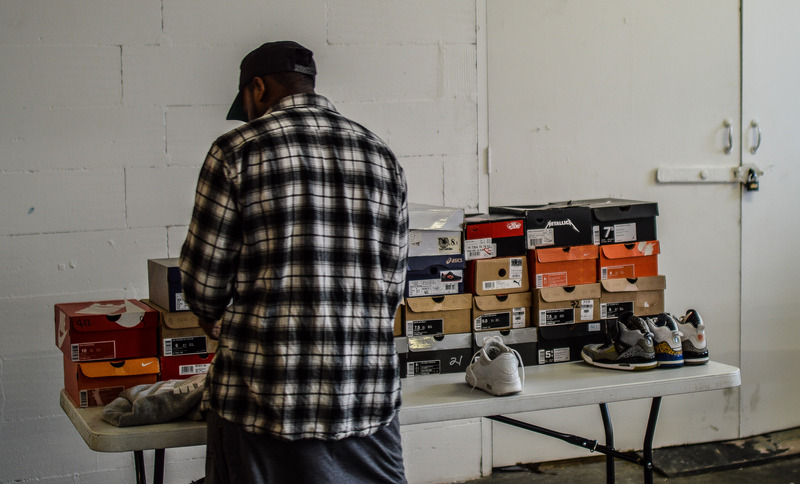 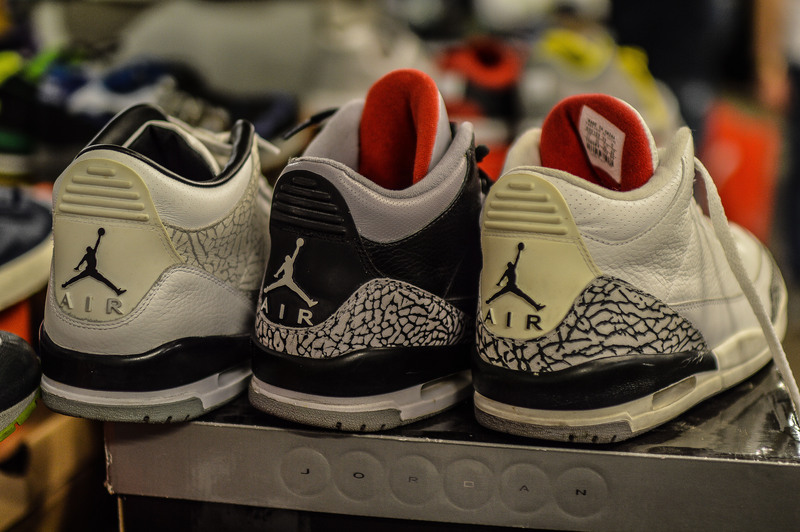 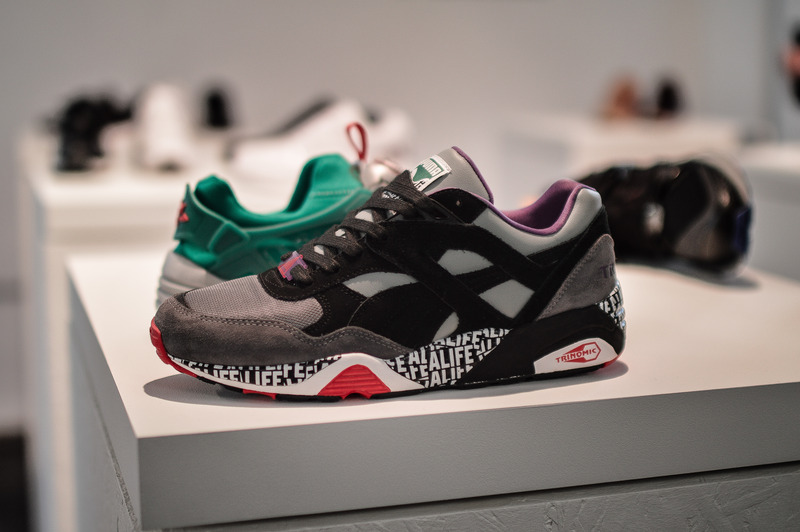 Sellers travel from both the UK and abroad, as well as named brands such as Puma, and stores such as Wellgosh who also regularly make the effort to sell stock at reduced prices, or even display current and upcoming releases. 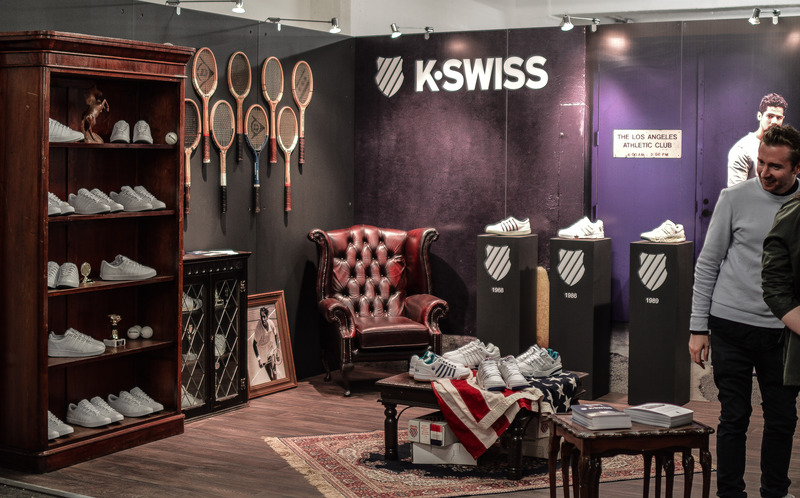 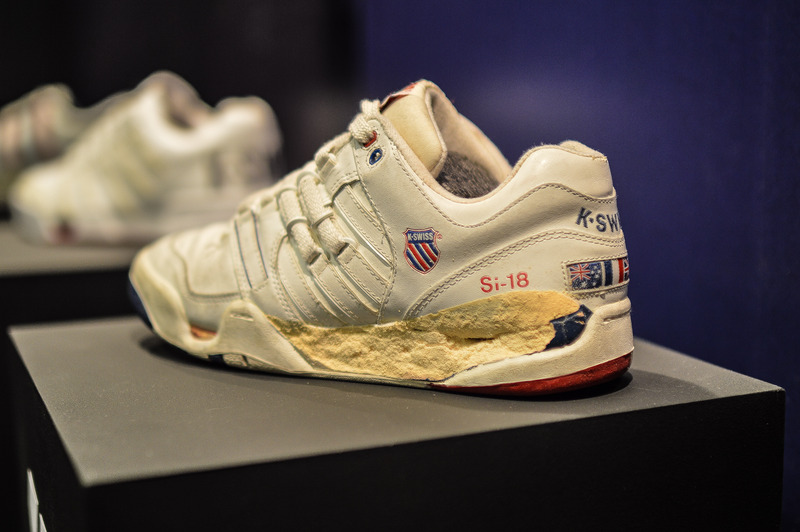 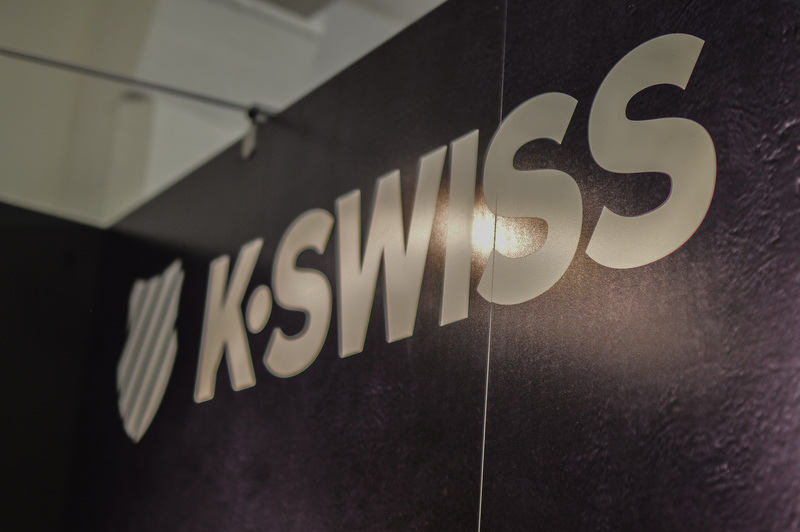 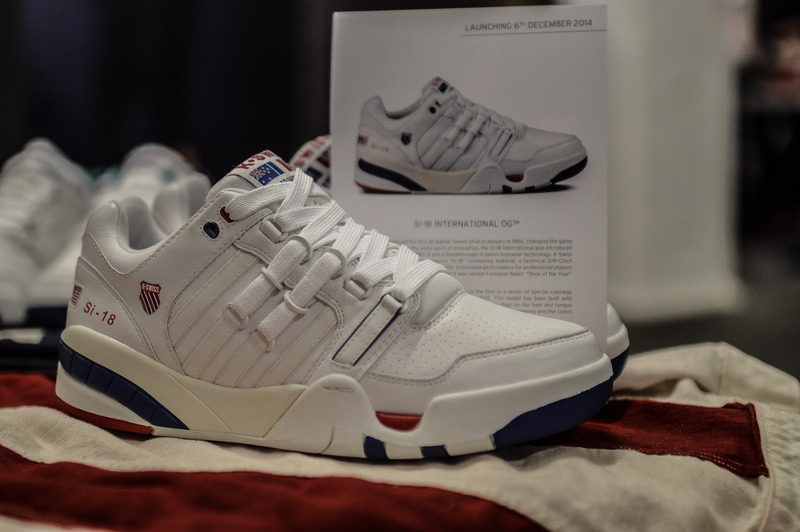 This time however, it has to be said that the display put on by K-Swiss stole the show, displaying their upcoming Si-18, along with a number of other vintage pairs. 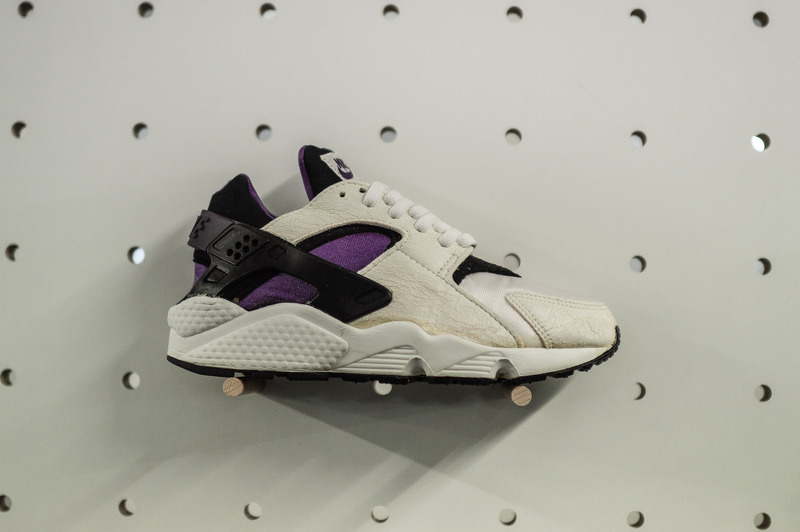 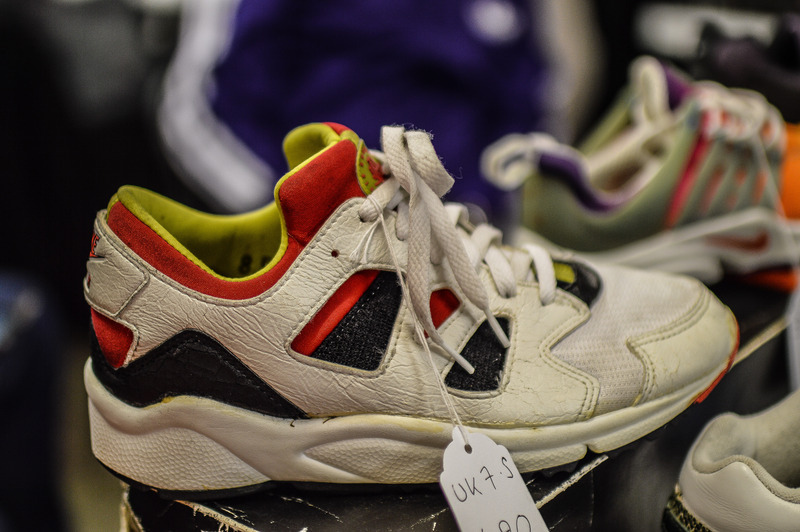 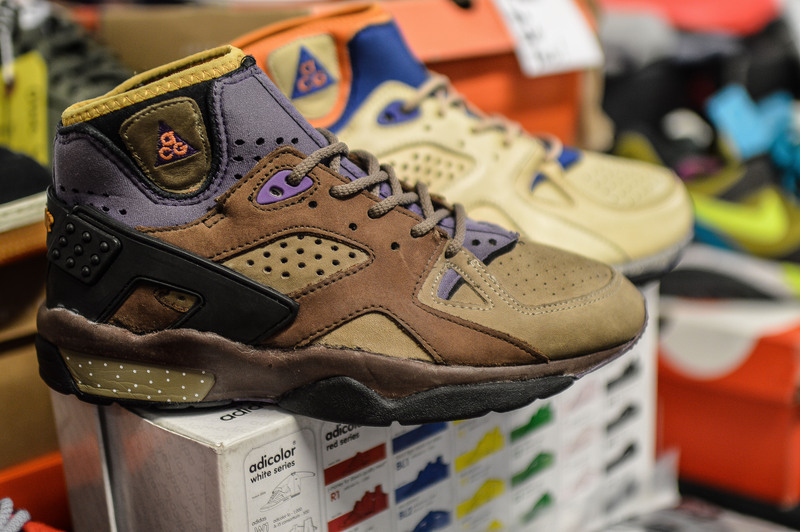 The Huarache craze seems to have been fizzling out of late, but Huarache aficionado Clyde Vellacott made sure everyone’s favourite Huarache colourways were on display, even if he was at the other side of the world. 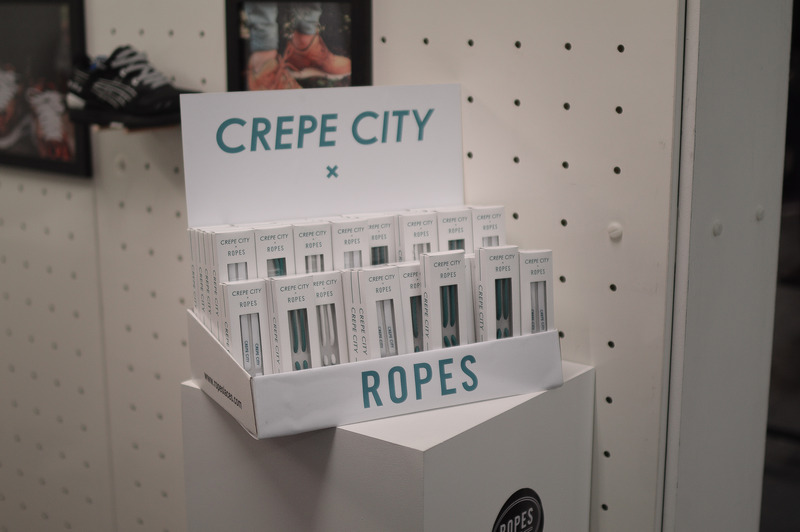 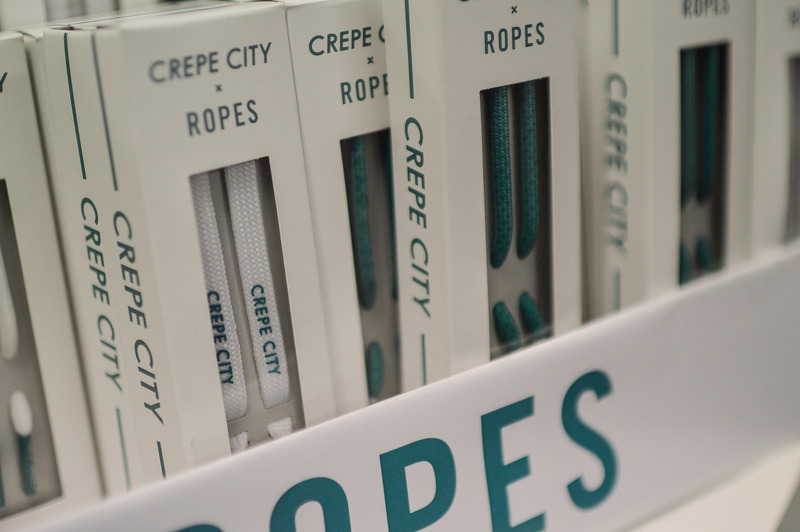 UK’s own Ropes Laces had recently collaborated with Crepe City to produce a set of three laces, with individual pairs also for sale, along with a special black set made for F&F of both parties. 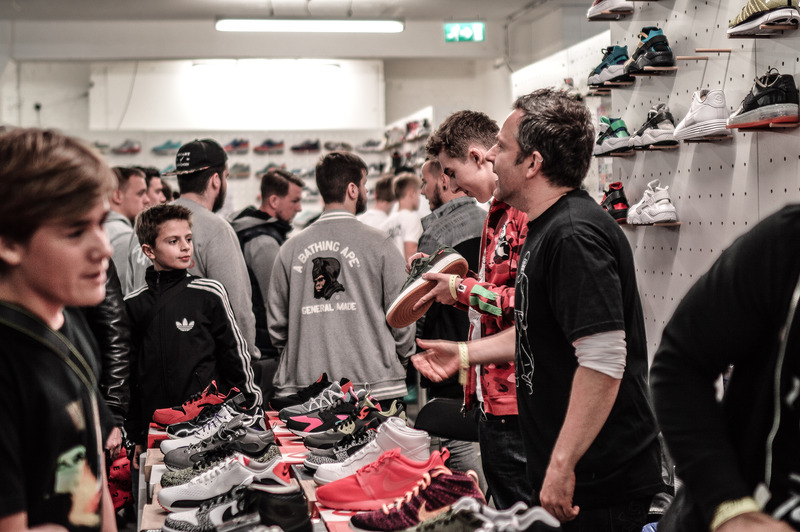 Weather in the UK needs no introduction, it’s a bit hit and miss, a miss for the most part, so taking care of your trainers is imperative, and the likes of Jason Markk (with Jason Markk himself there paying a special visit), Liquiproof and Sneaky Brand were there to demonstrate and sell their product. 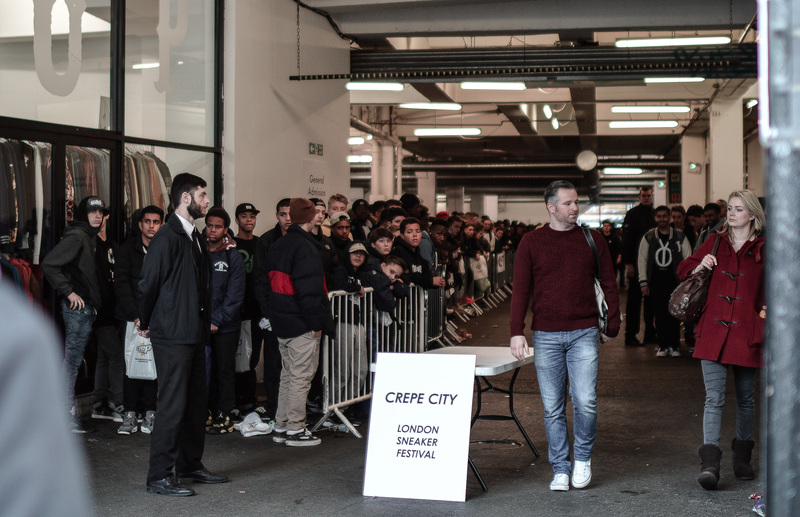 If there was anything to take from this event in comparison to the last event, I think it was felt that the vast space all on one floor and in one room, which was used for Crepe City 11 seemed to finally give the event a proper convention feel, and was preferred by many. 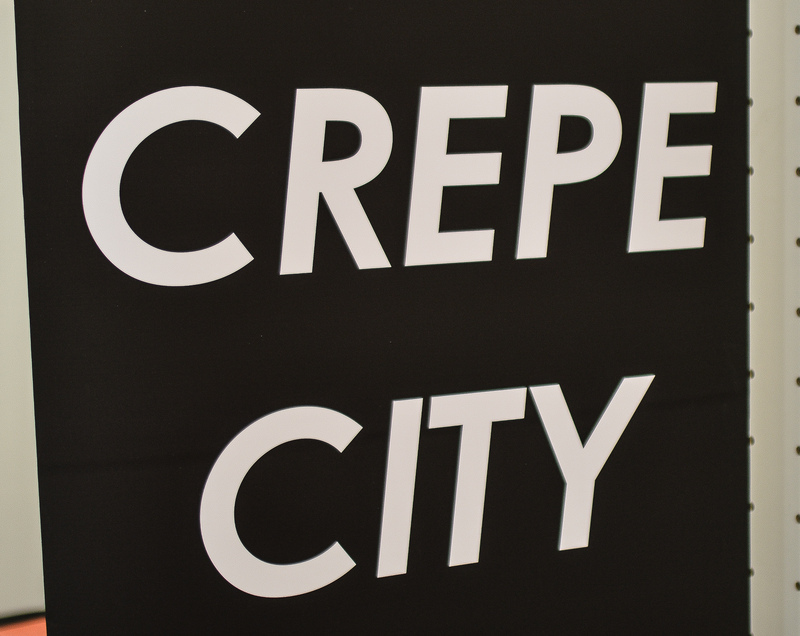 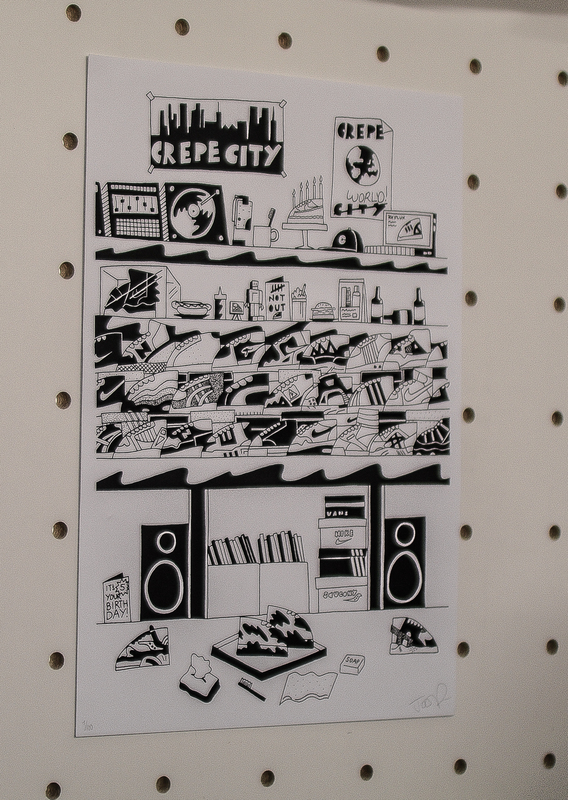 Maybe we’ll see this return in future with a few improvements, but don’t let the separate rooms take anything away from the event, as the Crepe City organisers spent weeks refining everything and anything, and it was a huge success, so big ups to them all!